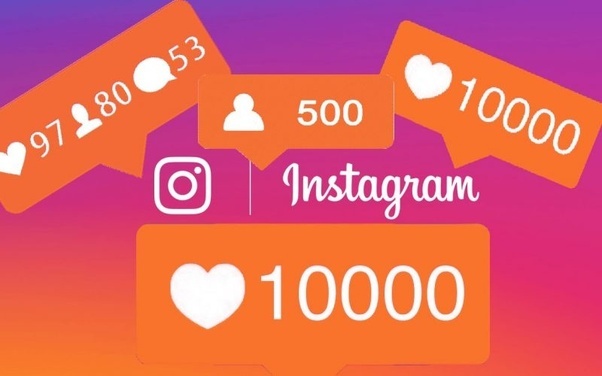 If you ask any business what their Instagram goals are, chances are one of the top two answers will be to get more Instagram followers. (The second answer is most likely to be related to either increasing engagement or sales.) While there are many ways to increase your follower count, one people tend to shy away from, especially if they are on a tight budget, is using paid ads. When done right, though, it can be a cost-effective way to boost your follower count, and quickly at that. 1. Use Your Best Content. Instead of focusing on creating new content for your audience with ads, focus on finding the best content you already have out there working for you. Go back through your organic posts and see what got you the most engagement from your audience. Repurpose those posts to use as ads to get a bigger response from a wider audience. It should work better simply because you know your audience already loves it. Reuse the phots and caption from one of the most popular posts on your page – and you’ll have a better chance of success. 2. Experiment with Different Targeting Options. Instagram uses extensive user data available within Facebook, so you can really get targeted with your Instagram audience. But, to get the best value for your money, you must understand how to leverage various parts of the targeting to make it work for you. The more specific you get in terms of your targeting, the more you’re likely to spend to get each like or follow. Play around with various options in separate campaigns to see which is getting the best response, then cancel the campaign that’s not doing as well. Continue experimenting this way with your ads and targeting options to see what works best with your audience, so you can refine your approach in the future. 3. Use Custom and Lookalike Audiences. The Lookalike audience feature lets you create a custom audience for your ad that’s similar to your current followers, so you’re only targeting people who share characteristics of the people who already follow you. This approach allows you to bring in new people with similar behaviors, demographics, and interests, so you’re not wasting your time and money on people who are not likely to convert. The advanced targeting features ensure your ad will be presented to people who are most relevant to your audience. This in itself should improve your click-through rates, boosting your traffic, and ultimately sales. As your click-through rates increase, you’ll bring down your cost per click, thereby allowing you to justify continued investment in Instagram ads. 4. Make Use of Remarketing. Thanks to the Facebook pixel you can install on your website and track visitor behavior, you can create better ad campaigns. The original purpose of the pixel was to monitor and track conversions from social media, but it can also help your ads. Before you can use this, you’ll need to install the Facebook pixel on your website and leave it there for a few days before you can start collecting data. You’ll be able to install the pixel on your website from your ads account. Using the data you’ve collected from the pixel, you can create a custom Instagram audience comprised only of people who’ve visited your website. You can use other modifiers, too, so you can target only people who took specific actions on your website, or abandoned their carts, for instance. Using Instagram ads to remarket to customers who’ve been on your website can help keep you at the front of their mind. If they’re not already following you on the platform, it can remind them that they at least should do that – even though we all hope they go back to your website and finish their purchase. 5. Keep Your Ads Like Your Natural Content. If you’re aiming to boost engagement and get more click throughs with your Instagram ads, it’s critical that your ads don’t look like ads. Your audience will be more likely to respond positively to content that looks natural, rather than blatant product promotion. If and when possible, include real people in your videos and images, as research shows images with faces get 38% more likes than other kinds of content. If your fans feel like you’re constantly selling them something, they’ll tune you out and start to ignore you. There are, of course, some who won’t mind the selling attempts, but to avoid alienating a portion of your audience, you want to focus on creating an organic experience. This means keeping your ads in line with the same theme as your organic content. Once your ad goes live, create a few similar organic posts. This will create a theme for your promotion and helps for a smooth transition between your ads and organic content, increasing the chances that people will interact with both types of content. Many small businesses use Instagram ads and find themselves struggling to get a decent ROI because of targeting issues. It can be discouraging to spend money and not get the results you’re looking for. That’s why it’s best to start small, test ads, and then spend money on what you know is working. As you get better results, you can start spending more money on your ad campaigns to improve your ROI.